Providing you with cute, quality handmade items with a geek chic twist! 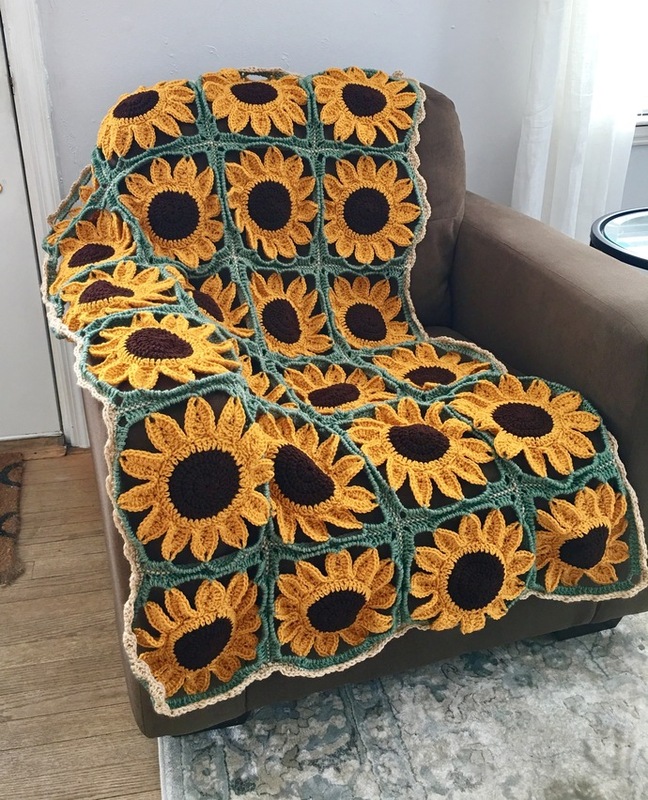 Plant an entire sunflower patch without leaving your favorite comfy chair with this beautiful crochet pattern! 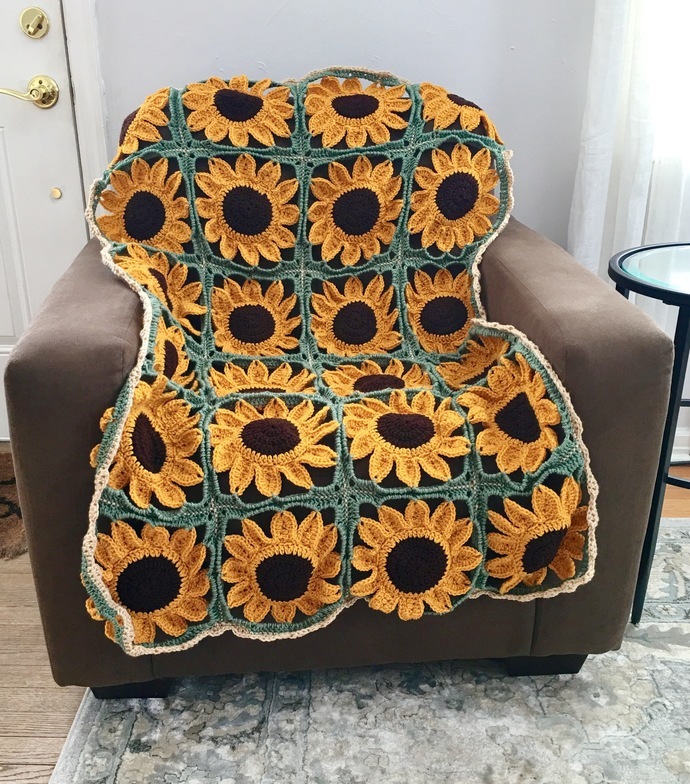 The size of the blanket can be adjusted depending on how many squares you make, so the blanket can be anything from a baby blanket to a king sized bedspread, so feel free to get creative! This pattern is in the English language, written in standard American terms. 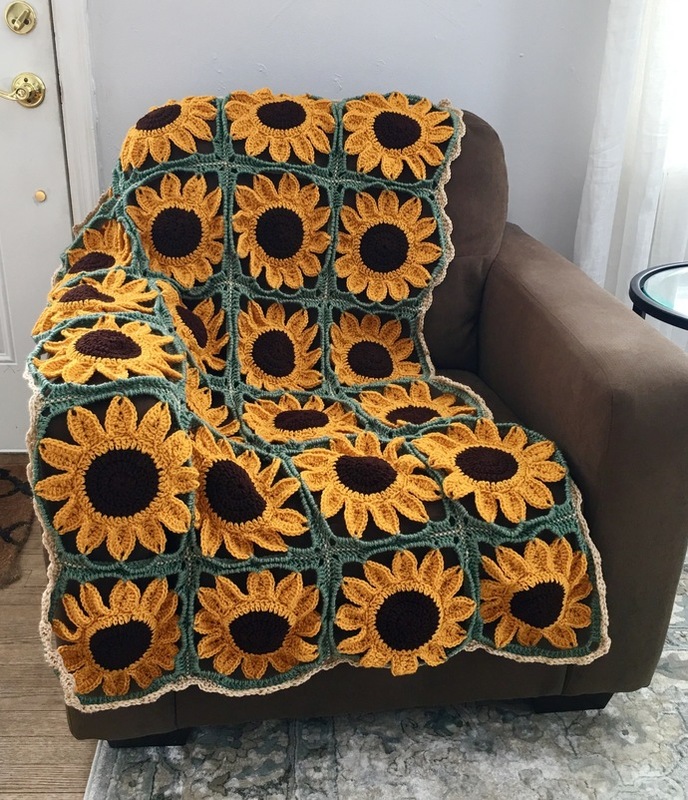 The difficulty level for this pattern is Intermediate (stitches you will need to know include the Chain, Single Crochet, Half Double Crochet, Double Crochet, and Triple Crochet. Patterns are delivered via a link to your email address after purchase. Hurry and order yours today to have some crochet fun!